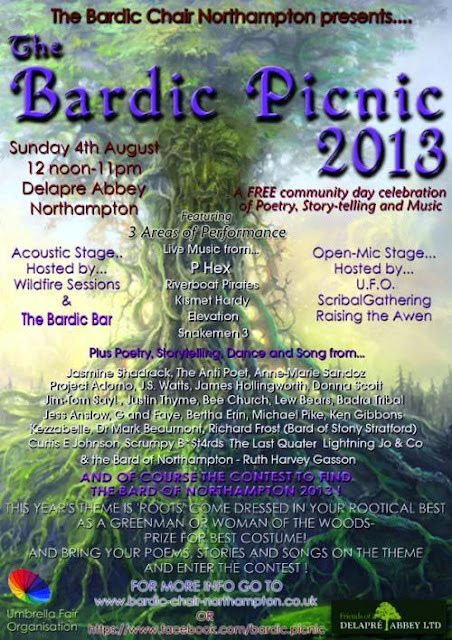 The wonderful Bardic Picnic is taking place next Sunday, 4th August in Delapre Abbey, Northampton starting at 12 noon. There's going to be poetry, music, story-telling and picnics and (fingers crossed) lots of sunshine and it's FREE. J.S.Watts will be performing, but she will only be one among many and the many are glorious.The Antipoet will be there, fresh from their Glastonbury triumph and Richard Frost (Bard of Stony Stratford) and Joolz Denby and.... you can read it for yourself below and on the Bardic Picnic website. If you want to read your own poetry there are open mic opportunities. Hope to see you there! J.S.Watts will be in the chat room on Wednesday afternoon's Sue Dougan Show, along with Roxanne Pitteway, chatting about the day's hot topic. Listen to BBC Radio Cambridgeshire around 2pm on Wednesday to hear what she has to say. Bedford Fringe Festival is taking place from 12th July to 3rd August this year. There are a multiplicity of amazing events including drama, film, music, dance, comedy and poetry. 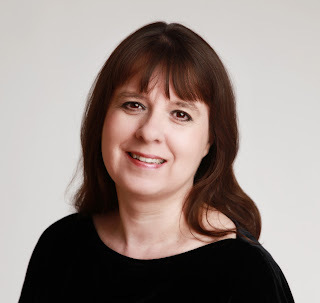 On Saturday 27th July between 11.20 -11.35am on the Lady K's Stage in Silver Street, Bedford, J.S.Watts will be entertaining the passing public and gathered audience with her poetry. It's a totally FREE event, so if you're in the area, come on by. Later the same day, between 12 noon and 2.00pm in Bedford Library, J.S. will be one of a number of poets, including Bedford poet Ian McEwan, reading their poetry in the round - another FREE event that you won't want to miss. Looking forward to seeing you at Bedford Fringe Festival this year!